Our kids were all home for dinner this last Sunday; plus my son’s girl friend and my daughter’s boy friend. That made eight of us around the table for dinner. We had purchased two lovely whole chickens and thought that would be a good start for dinner. I had never roasted a whole chicken before; and with the whole family at home I thought it would be a good time to do it. Usually I cut chicken up and make fried chicken, but I have always wanted to try roasting a whole chicken with some different herbs for flavoring. So Sunday was the big day for that. While grocery shopping the previous day, Mike and I were looking at the herbs trying to decide what would be good for this new adventure when I noticed a packet of herbs from Schilling. It is the one of those packets that has all the herbs measured out for you and all you have to do is mix them up and add it to whatever you are making. You probably have seen them in your grocery stores by where you live. Well we decided to take our own herbs and do it on our own. So we mixed rosemary, paprika, coarse ground pepper, salt together along with minced garlic, and olive oil. This mixture made the chicken tasty, although I thought it might have been a bit more flavorful. I am not sure if it was the olive oil, but the chicken was very moist and juicy. 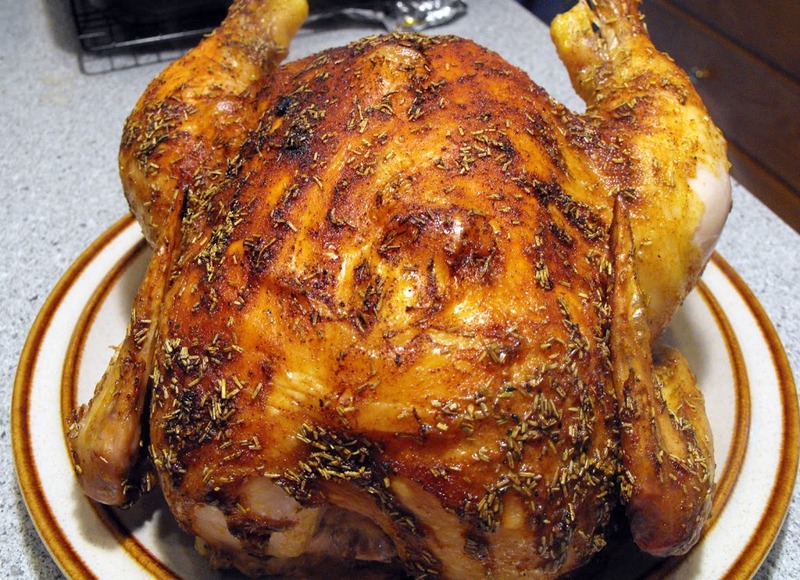 I know I will roast whole chickens again and maybe mix up the herbs a little to try a new flavor. It is so easy to do and the results are delicious. Preheat oven to 375 degrees F. Get your chicken ready for roasting. Combine all dry ingredients and mix well. Add olive oil and mix so all dry ingredients are mixed into the oil. 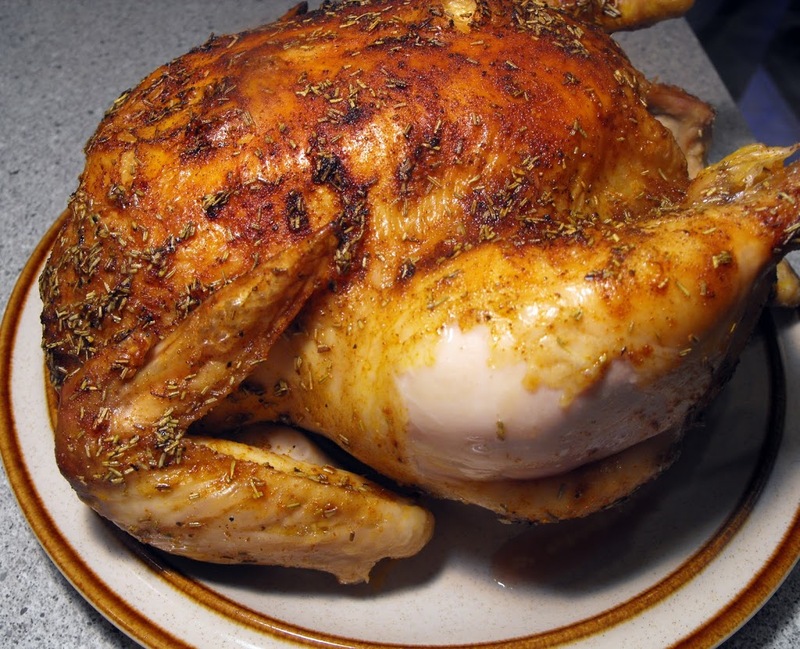 Take a basting brush and cover the whole chicken with the mixture. (We used the left over olive oil mixture with and coated potatoes that were cut into chunks and roasted them. They were very good also). Bake chicken for about an1 hour, or until done.